11 3/4" x 7 7/8"
Atelier is the French word for that place where you do your painting. It feels more intimate than the word, "studio." In her new book, Ellen Eagle has invited you into her atelier and offered you a look at her expertise and practices. Pastel Painting Atelier covers basics, such as studio set-up, pastel choices, brands, and pastel tools and surfaces. But the real experience of reading her book is like that of participating in a Japanese tea ceremony. You are made to feel special and revelations abound. 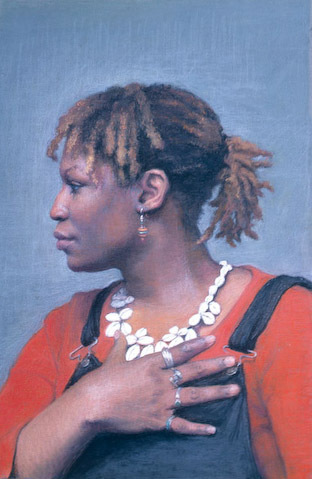 Ellen spotlights both historic and contemporary artists working in pastel. A favorite section of the book for me was the in-depth walk through of her process where she unpacks her thoughts, feelings, and methods while showing progress on portrait, figure, and still life works. The following is what Ellen wrote to you, the readers of The Colorist and Pastel Workshop. 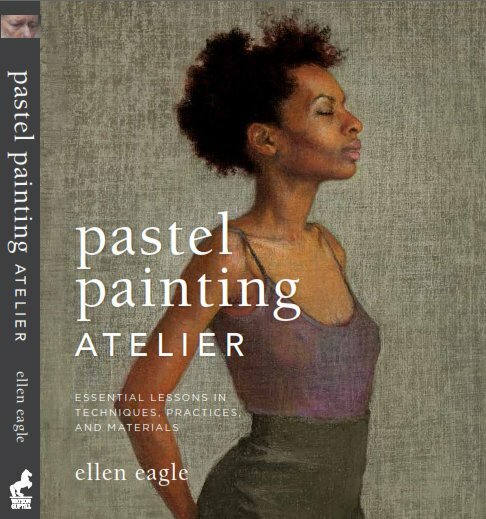 Pastel Painting Atelier is my first book. I began the writing by entering my studio. I looked into my work environment and the treasured tools of my trade. My opening preface emerged naturally, and that personal statement set the tone for the whole book. Throughout, I wrote about my inspirations and hands-on working practices. My goal was to suggest to the reader ways to open up his and her own path. I also reached beyond my studio, into the ever-evolving history of our gorgeous medium. It was very important to me to exalt the magnificent lineage of artists who, across centuries and continents and styles, continue to bequeath to us breathtaking works in pastel, artists who daily transform powder into monument. I closed the book with an index of public collections in which to view firsthand the enduring beauty of our collective endeavor.